Heyo guys! This is your next door author who literally lives just an inbox away. So don't hesitate to reach out to me. In this article I will share my experience of trying to buy bitcoins and about Bitcoins themselves. To define what a Bitcoin is we would need a lot of qualifiers. The first feature of Bitcoin is that it is a digital currency. Much like how we use our national currencies through digital means. Except Bitcoin is completely digital and has no paper form. Now this aspect of it being completely digital has to do largely with the idea of decentralization. No government or bank gets to decide about the criteria of how Bitcoin has to work. So who decides it? Bitcoin is a peer-to-peer open source programmable money. 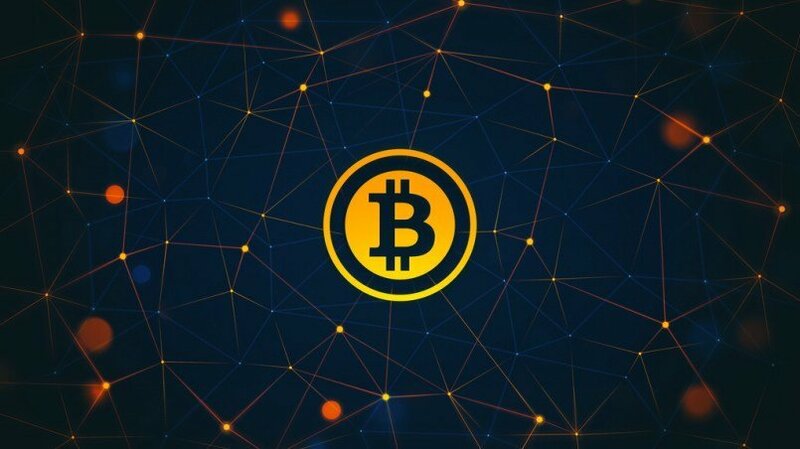 Which means that the rules of the game that decide about the important aspects of Bitcoin are decided by the people who become a part of the peer network and the code/software. Through a democratic and decentralized process this payment network (Bitcoin) has a lot of security features that instill trust on Bitcoin. Trust. It is the central aspect of any monetary system. We accept a particular form of currency only when we can trust it. Bitcoin ensures this trust at a general level by using the principles of cryptography. Hence people also refer to this currency as cryptocurrency. We might think that money has value but it is not true. For example, if you were to hold a US$ bill, it is nothing but a piece of paper. Even when you return it to the US Federal reserve, you get nothing in return. Only because US$ is accepted by people and Governments alike that it is a legal tender, it has value. The real value for a currency system comes in when the transactions that happen with it are efficiently recorded and it is very difficult to tamper them. The ledger which contains the information of how much currency we have and how much we owe to others is the holy grail of any monetary system. When it comes to Bitcoins, all these translocation are stored in the form of blocks and all these blocks are locked with connecting chains. This lock is in the form of cryptography. Now this block chain or ledger which contains all the information of the transactions right form the beginning when the first transaction with Bitcoin was made is hosted on a peer-to-peer based network. Any one wishing to alter the information in the transactions would have to unlock the block that contains the particular transaction details and also all the blocks that have been formed after it. Because the computational power required to do so is so large and as the ledger is shared with everyone connected to the node, the system of Bitcoin is safeguarded. How the block chain works deserves a stand alone article by itself so I will refrain form talking about it. Let us start with the bare basics. A Bitcoin wallet is an address. It is a string of characters. Imagine the wallet like a pouch. You can add Bitcoins to it or others can send Bitcoins to it. It digital terms, the address is assigned value in Bitcoin units. The smallest possible Bitcoin unit that you can send or receive is 1 Satoshi. This string of numbers which you can share with the public so that you can receive money is called public address. Now, every public address/key has a private key linked to it through a mathematical function related to elliptic curves. Meaning you can generate the public address with a private key but the reverse is not true, meaning we cannot generate the private key if we are aware of the public key. Important, keep your private key a secret. Because, the private key serves as a digital signature. When Bitcoins have to be moved out your your wallet/pouch/public address, the private key must be given as an input. You now know that a wallet is a string of numbers. But what are these string of numbers? How to generate them? The wallet addresses for Bitcoin can be generated using a series of steps that include a specific cryptographic function knows as secp256k1 or the SHA 256. You can either do that or simply visit bitaddress.org and generate a wallet. What you see in the above image must have now give you an idea of what I have been talking about. Click on wallet details to understand that there are many ways to represent the public key and the private key. Explore this website and try to read up the information provide there. Now visit blockchain.info website and insert your wallet address in the search area. You will see details about the wallet and as the wallet is new, you will see that it has zero Bitcoins in it. 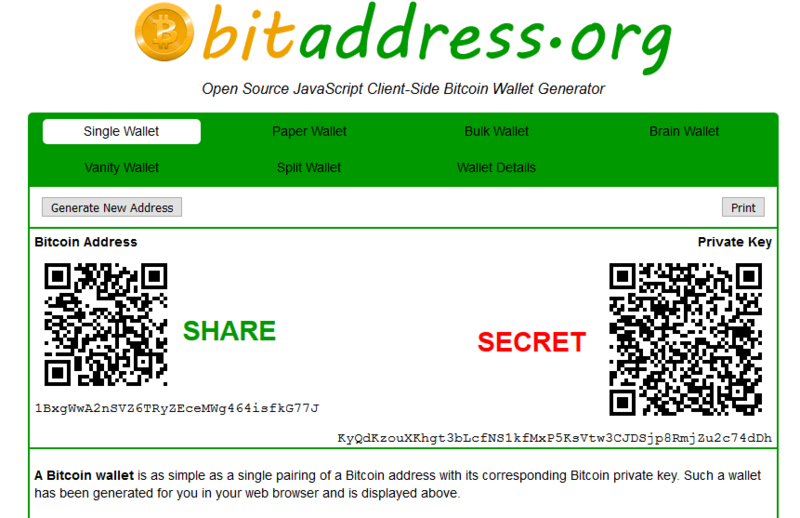 Now that you know your wallet address and also your private key you can now receive Bitcoins to your wallet. When you buy Bitcoins with currency, the person you have paid money to will have to send the Bitcoins to the wallet address you wish for. It is important to understand that there are transaction fess and also the need to wait for transaction conformations before you can convince yourself that that the translation is set in rock.Popular websites like Coinbase.com and others are some of the ways through people buy Bitcoins. Multi-signature wallets are ones which need 2 or more private keys to approve the transaction from that wallet and hence they are very safe. You can set is up such that you can use any two of the three private keys could be used to to approve the transaction. In the next article I will talk about the process involved in transacting with Bitcoins in detail and how block chain works. Gyazo is a image sharing application. It is possible to take a screenshot of the private key and store it in its database. But this is not at all recommended. Firstly, your Gyazo account can be easily be hacked. Secondly, once a person has your private key, he can generate the public key too and steal your funds. Never store your private keys on online servers. If you have questions, feel free to ask below. National Bank of Nepal stated that until regulations are conceived bitcoin, and other cryptocurrency exchange businesses are deemed to be illegal. So yes, it is illegal for Nepalese to trade with Bitcoins. When i first time heard for bitcoin, valute in the internet i thought for the second its not profitable and its bulls*it but today i cant forgive myself for that mistake, never been interested in a thing that could make you so much money..The article is very nice and helpfull.. Very good in the meantime but still at a break point bitcoin will stop. I love your horde avatar. Bitcoins everywhere! In all seriousness this is great and very helpful article.